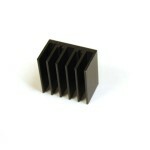 Heat Sinks are used in PSU, amps etc. 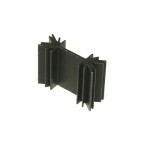 Heat Sink Heat Sink 25x20x20mm (X4) for semiconductors in TO220, SOT32, TOP3 package Black an..
Heat Sink Heat Sink 26x25x18mm (X6) for semiconductors in TO220, SOT32, TOP3 package Black an..
Heat Sink 34x25x12mm for semiconductors in TO220, SOT32, TOP3 package Black anodized. 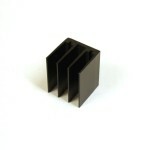 Can be ..
Small Heat Sink for semiconductors in TO220 Black anodized. 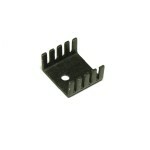 (21x10x19mm) ..